More complex prescriptions typically require more complex lenses. If you have a very high degree of astigmatism, nearsightedness, farsightedness, need a bifocal or have very dry eyes you should consider rigid gas permeable lens designs. These lenses are somewhat firmer than soft lenses. But, that allows them to provide a new soother surface for the cornea resulting in much sharper vision. If you have had an injury, suffer from a disease or have had surgery on your eyes the surface of your cornea may be irregular. 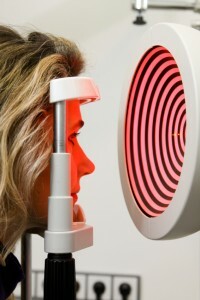 A soft lens drapes over the cornea and that irregularity will show through leaving you with unacceptable vision. That same soft lens may slow the flow of oxygen, the main source of nutrition for corneal tissue, interrupting the healing or compromising the health of your cornea. Rigid gas permeable contact lenses can be just as comfortable to wear as soft contact lenses. But, they need to be designed by an experience rigid contact lens fitter to assure your comfort and the health of your eyes. For more than forty years the Contact Lens professionals at Parrelli Optical have been committed to studying, researching and introducing the newest, safest, healthiest contact lens options available in the medical community. We are experienced in more complex lens designs and look forward to helping you to see better. Contact your local office today. We specialize in the fitting of contact lenses for corneal ectasia, keratoconus, pellicid marginal dystrophy, post graft corneal transplant, strong prescriptions and irregular corneas.